In 2001, I published a book called The Burning: Massacre, Destruction and the Tulsa Race Riot of 1921. Several months later, I decided that if I could poke around in the terrible race history of another city, I was obligated to do the same in my own, Fort Worth, Texas. 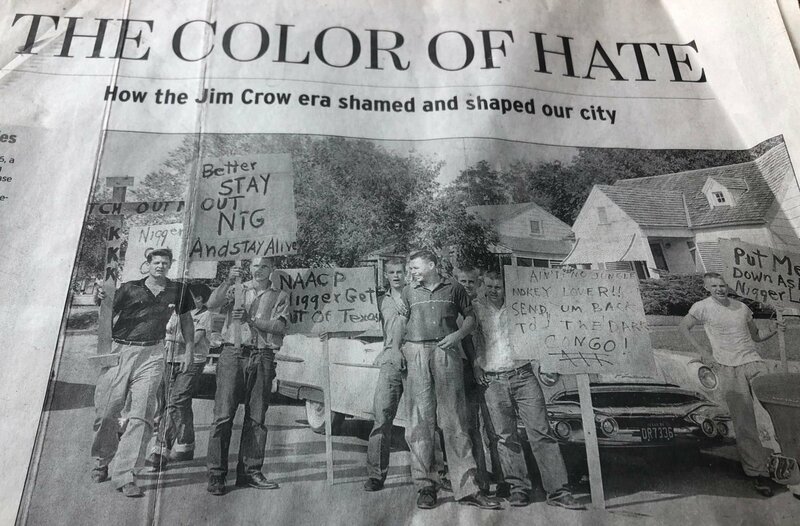 My 2002 series in the Fort Worth Star-Telegram was titled the Color of Hate: How the Jim Crow Era Shamed and Shaped Our City. Last week, I found a yellowing reprint at the bottom of an overstuffed filing cabinet in my office. I read again about the Fort Worth lynching of an African American man in 1921; the experiences of baseball legend Maury Wills when he played a year of minor league ball in the then segregated city; memories of students from the exemplary black high school; and a candid interview with James Cash, the first African American basketball player at Texas Christian University who went on to a distinguished career as a professor at the Harvard Business School. But the centerpiece of the project was the story of what happened when a young African American preacher and his family tried to move into a white Fort Worth neighborhood in the late summer of 1956. As we continue to grapple with issues of race in our nation, I believe that story is worth telling again. Within hours of the arrival of Rev. Lloyd Austin, his wife, Macie and their young daughter, a white mob began congregating outside their modest house. Homemade signs were unloaded from car trunks. The ugly scene outside the Austin home. By sundown the crowd had swelled to more than two hundred. Fort Worth police ignored Lloyd Austin’s pleas for protection. Rocks crashed through his windows. Members of the mob tied rope around the neck of a dummy and slung it over the branch of a tree in the front yard. He stuck his rifle out the window of his home and fired once, sending the mob scurrying into the night. The bullet lodged in the radiator of a car owned by a nineteen-year-old white named Stephen Shoemaker. A reporter approached Shoemaker for a statement, one that he would regret for the rest of his life. Forty-six years later, I found the retired welder in the phone book. I remember how Shoemaker’s voice trembled with regret as he talked to me. He told me his racial awakening had come in the Army, when he lived and worked around African Americans for the first time. He said he came to understand that black people were no different in the eyes of God than any other people. It was the heart of the person that mattered, not the pigmentation of their skin. Many of his closest friends over the years were African American. And it was a rare day that Shoemaker did not think of that night in 1956, and when he did his stomach scudded with shame. I remember how hot and sunny it was that August afternoon at the place where the Austin residence once stood. Lloyd Austin was seventy-eight that day, stocky and slightly stooped, wearing a straw cowboy hat as he hobbled forward with his cane, extending his hand to the bearded white fellow in his sixties who had just arrived in another car. Reconciliation and redemption on a hot summer day. …Any awkwardness dissolved into the summer afternoon. 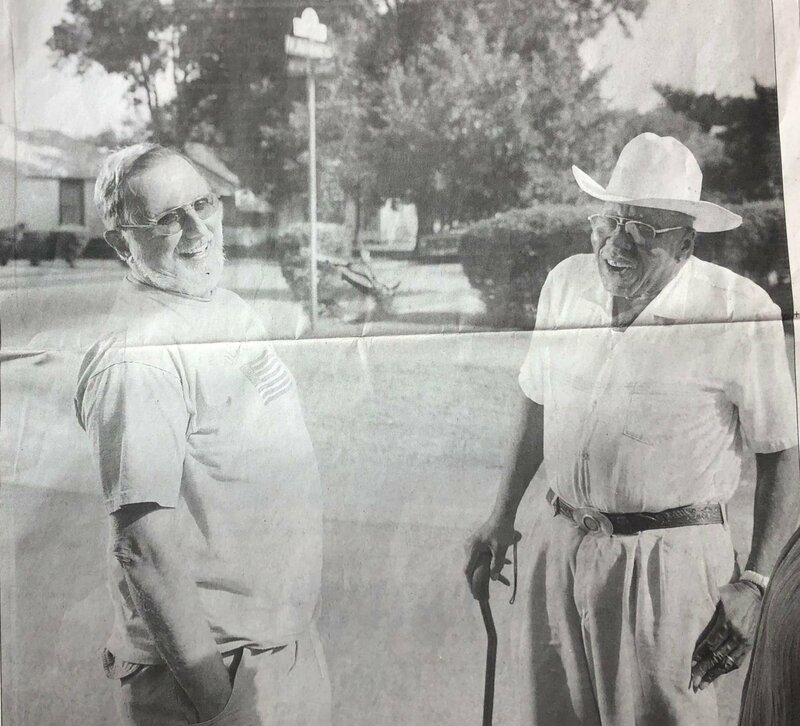 As the three of them stood together in the sun, chatting like old friends, they acknowledged a sense of history, too, of accounts being settled, of a redemptive ending to one of Fort Worth’s nastiest racial incidents.